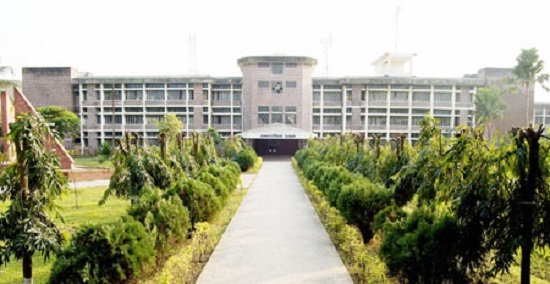 Hajee Mohammad Danesh Science and Technology University is one of the highly ranked public science and technology universities in Bangladesh. This university was founded in 1999 and situated in Basherhat. Now, to know more about this university read the article below. In the below, we have briefly described all info about this university. Hajee Mohammad Danesh Science and Technology University is a public science and technology university in Bangladesh. This university was established in 1979. But, the university started its curriculum from 11 September 1999. The nickname of this university is HSTU. But, this university is also known as Hajee Danesh University. This university can locate at the city called Basherhat. And, this city is situated at 10 miles far from Dinajpur. The Hajee Mohammad Danesh Science and Technology University is very popular and good ranked university not only our country but also in abroad. In 2015 more than 100 foreign students came from five different countries to study here. Now, the honorable president Abdul Hamid is the present Chancellor of this university. And, Professor Md. Ruhul Amin is the present Vice-Chancellor of HSTU. The total number of the students is 10000 in this university. And, it has 400 academic staffs. This university has nine deans here. This university’s campus is so large which is 85 acres. And, you can check more info in the official website of HSTU. The official website link of HSTU is “hstu.ac.bd”. The Hajee Mohammad Danesh Science and Technology University all most has all the faculties that every public university could have. The number of the faculties in HSTU is 9. And, under those nine faculties, it has 47 departments. Now, the name of those faculties is given below. • Faculty of Computer Science and Engineering. • Faculty of Veterinary & Animal Science. • Faculty of Arts & Social Science. These are the faculties of HSTU. Now, engineering faculty has 8 departments. And, the computer science and engineering and the business studies faculty has 5 and 4 departments. The agriculture, fisheries, and Veterinary & Animal Science faculties have 11, 4, and 8 departments. And, the faculty of science and arts has 4 and 3 departments. Hajee Mohammad Danesh Science and Technology University has the best quality facilities for all the students and teachers. Is has great hostel facility for both male and female. And, this university has hi-tech lab facility for the students. It has a computer lab, Chemistry and physics lab. Now, the library of this university is too big. This university’s library contains more than 25,000 volumes. The library also includes periodicals and bound volumes. The library also has 50 foreign journals and rare books at home and abroad. HSTU also gives medical facility to the students and teachers. And, it has 4 working doctors in the university campus. Finally, we hope you have got much info from here. And, visit us for the latest info about Hajee Mohammad Danesh Science and Technology University.